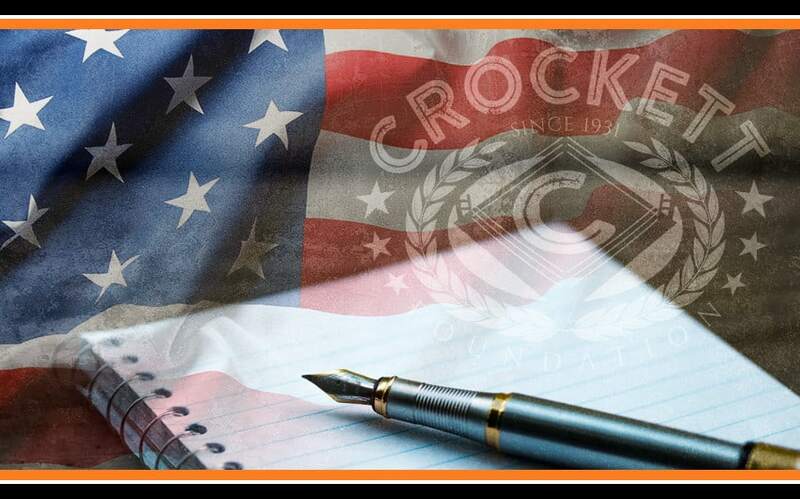 Veteran Writing Programs | Crockett Foundation - Tag In & Help Out! All across America there are little groups of US Military Veterans writing. They’re passionate about writing in various forms – and they’re working on refining their techniques and processes for telling their stories for the rest of us, and for themselves. The tradition of healing through use of words in various forms goes back to World War II when a women’s service group brought workshops to veterans in Veterans Administration hospitals – at first in Chicago and adding programs in VA facilities throughout the country. Many writing workshops are open to all Veterans, from any era – but it’s those who served in the Iraq and Afghanistan wars who are causing these programs and others for Post Traumatic Stress Disorder (PTSD) to improve upon themselves. Today these Veterans are seeking and also creating alternative ways of healing – and they’re sinking their teeth into writing as a means to do that. For a generation of Veterans who grew up in a multi-media world including the confessional-like realm of Facebook, sharing battle experiences and fears can be an effective and familiar means of coming to understand and overcome the common sense of isolation Veterans feel after service. When Veterans come home they leave behind a culture of tremendous teamwork. At home their communities don’t convey a team atmosphere, and neighbors don’t seem to understand war or the Veterans at all. The military is taking on writing and other forms of creative expression and art – like sculpture, music, and painting – to help rewire the tender brains of Veterans who are living with Traumatic Brain Injury (TBI) and PTSD. Veterans write to bear witness, to report back about the experiences of war for those who sent them into war in the first place. For civilians who can’t imagine why someone would join the military if not to kill people, Veterans telling their stories help to reshape and reframe the stereotypical images people have of Veterans and war. For the sake of clarity and moving forward wisely, perhaps real stories of the Iraq and Afghanistan wars should be part of educational curricula so future leaders and decision makers learn about this reality. Many stories written by Veterans about their experience are about trauma – and more trauma. A friend killed by a sniper, a mass grave site, a convoy ambush and the smell of burning bodies in a firebombed vehicle. With PTSD these images can visit a Veteran in their sleep, or while awake. The experience is real and happening now, while at the same time only a memory. For some people writing about a traumatic experience is much easier than talking about it. Sometimes writing can be free association; writing without concern for it making sense, just jotting down what comes to your mind in a stream of consciousness. Other times it can be structured; with goals and questions to be answered as a challenge to oneself. Sometimes writing opens up a floodgate, which can be both exhausting and cathartic. If you know a Veteran – young or old, from a current war or perhaps from the Vietnam war – perhaps you’re curious about their experience, but they’ve never talked with you about it. Perhaps you wouldn’t even know where to start to talk to them about their experiences. You could consider supporting Veteran writing workshops in honor of your loved one. The Crockett Foundation finds the best Veteran charities that focus on bringing healing therapies to Veterans, and they support their missions with financial contributions. Many small non-profit organizations around the country are reaching Veterans and helping them heal and live joyful lives through writing workshops. Consider joining the Crockett Foundation’s team by making a donation that will support the best Veteran charities helping Veterans living with PTST and TBI.